Ayurveda is India’s traditional system of medicine, with roots that date back over 4,000 years. The word Ayurveda means ‘Science of Life’ in Sanskrit and this ancient healing tradition embraces an holistic approach to health, emphasizing preventative medicine as well as offering plenty of healing treatments. 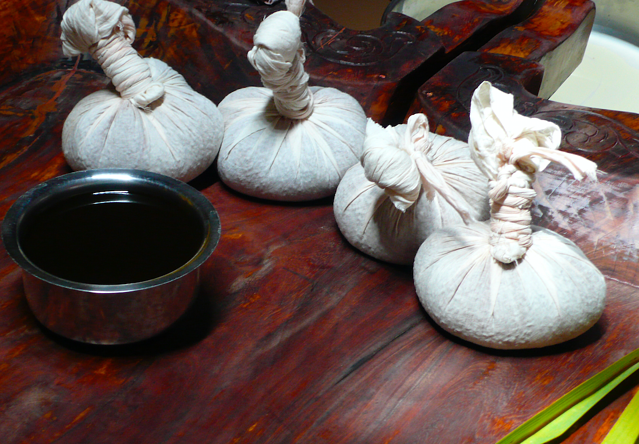 The Ayurvedic toolkit includes yoga and meditation, marma puncture (similar to acupuncture), massage, cleansing techniques, dietary recommendations and medicinal herbs. While Ayurveda has become increasingly popular in the West, the difference between visiting an Ayurveda practitioner in the West and consulting an Ayurvedic doctor in India is significant. Most Western practitioners have studies short courses of just a few weeks or months. However, Ayurvedic doctors in India undertake 5-7yrs of training, with a minimum 5yr degree in Ayurvedic Medicine. When you find a good Ayurvedic doctor, you’re in safe and knowledgeable hands. Soon after participants on the Adore Yoga and Ayurveda Retreat in South India arrive at the retreat venue in Tamil Nadu, they enjoy their first consultation with the resident Ayurvedic doctor, the wonderful Dr. Abilash. A tall, gentle Keralan, Dr. Abilash uses a variety of diagnostic techniques to determine which Ayurvedic treatments and medicines each participant needs. For some of us, he recommends special diets and makes sure the kitchen knows how to prepare our food correctly for the next few days. A consultation with Dr. Abilash usually starts with a diagnosis of your ‘dosha’. According to Ayurveda, everybody is composed of three basic types of energy, or doshas – Vata, Pitta and Kapha. It is the interplay of these three energies that creates your personal constitution and determines your patterns of health and wellbeing. We all have a combination of Vata, Pitta and Kapha in their constitution, but most of us have one or two that are more dominant. It’s important to understand your dosha so that you can make lifestyle choices to keep your constitution in balance. When the doshas become unbalanced, you’re more susceptible to disease and illness. The doctor determines your dosha through a series of tests, including visual observation (such as your body type, tongue diagnosis, hair and skin quality), palpation (taking your pulse, feeling the temperature and quality of your skin) and verbal questions, including a full case history. From this information, the doctor determines your dosha and the imbalances that are manifesting in your body. This then guides him to recommend a series of treatments. Abhyangam: A vigorous full-body oil massage, often conducted by two therapists at the same time. Rejuvenating, stress busting and immune boosting. Shirodhara: A deeply relaxing treatment that concentrates a flow of warmed medicinal oil onto your third eye while you lie on the treatment table. This is the ultimate antidote to stress, anxiety and hypertension and is also used to treat conditions such as diabetic neuropathy and epilepsy. Pizhichil: Perfect for calming a busy mind and exhausted body, medicated oil is poured over the whole body in a continuous stream throughout the 60 min treatment and gently massaged in by two therapists. Kathivasti: A special paste, containing herbs and medicated powders, is applied to the lower back and is excellent for relieving back pain. Njavarakizhi: A special kind of rice is cooked with medicinal herbs and milk to create a thick ‘porridge’. This mixture is placed into fine cotton cloth to create a poultice which is pressed into the body. The mixture from the poultice is then massaged into the body. This nourishing treatment helps with premature aging, muscle wasting and neurological conditions. All Ayurvedic treatments are followed by an hour of rest. That can be quite a challenge for those of us who like to keep busy, but the full benefits of the treatments are only enjoyed when the body and mind are allowed to rest and relax fully, integrating the subtle benefits of the treatment. Fortunately, the cool, shady and calming rooms at Maitreyi offer the perfect environment for enjoying some important down time. Participants enjoy daily Ayurveda treatments and have access to the Vaidya (doctor) at any time to discuss their health and progress. Treatments are often supplemented with traditional herbal medicines and dietary changes - the staff in the organic kitchen are adept at modifying meals to meet specific regimes and you can read more about this in Part 3 of this series on What to expect on a Yoga & Ayurveda Retreat in India. Adore Yoga are the experts in yoga retreats and travel, sharing stunning retreats in Bali, India and Australia since 2012. Our next India visit is for Meditation Teacher Training, 4-13 November 2017 and places are limited.